Rock/Americana Power Trio with A Touch of Twang!! Billboard Magazine Featured Artist and NYC Singer/Composer/Guitar/Mandolin & Multi-Instrumentalist Ann Klein has played guitar for Toshi Reagon, Kate Pierson (The B-52s), Ani DiFranco, Natalie Imbruglia, Joan Osborne, PM Dawn and Imani Coppola (on Conan O'Brien). Ann has independently recorded several albums and will be presenting her original trio that recorded the Billboard Magazine acclaimed Rockin' album "Driving You Insane". Ann has toured Europe extensively and was a guest teacher in Denmark at The Rhythmic Music Conservatory. Quoted by Fred Mills (Harp Magazine)....."This gal's as steamy as a hot July afternoon." Check out Ann performing "Chocolate Pie" on guitar at NYC's Rockwood Music Hall. Composer and bandleader Ari Shagal is a certified Laura Nyro nerd; she even has a degree to prove it, having written a graduate thesis in music theory at the University of Chicago analyzing Nyro's work. In 1997, a teenaged Shagal stumbled across a newspaper obit about some musician whose name she had vaguely heard: Laura Nyro. On the spot, Shagal nearly had a panic attack from the similarities between her own musical development and Nyro's. Upon hearing Laura Nyro's iconic album "Eli & The Thirteenth Confession" for the first time, Ari Shagal says, "What I heard absolutely blew me away! Those bombastic opening chords of "Luckie" sent chills through me, making me excited about music in a way that I hadn't been in years. Listening to the whole album, the compositions captivated me immediately, and I fell just as hard for Laura's voice." Shagal, now the composer and leader of the NYC jazz/soul/comedy band The Summarily Dismissed, continues to draw inspiration from Nyro, and is thrilled to perform "Nyro at Noon" here in Long Beach! This Queen of blue-eyed rock ‘n’ soul teased her blonde hair into a beehive in honor of Ronnie Spector and never looked back, picking up a guitar and forging a career as a songwriter in the process. She’s the current, long-time vocalist with NBC TV’s Saturday Night Live Band and her CD “The Deep End”, was honored on five national Top Ten lists, featuring special guests/duet partners Ian Hunter, Dion DiMucci, Marshall Crenshaw, Levon Helm & G.E. Smith. 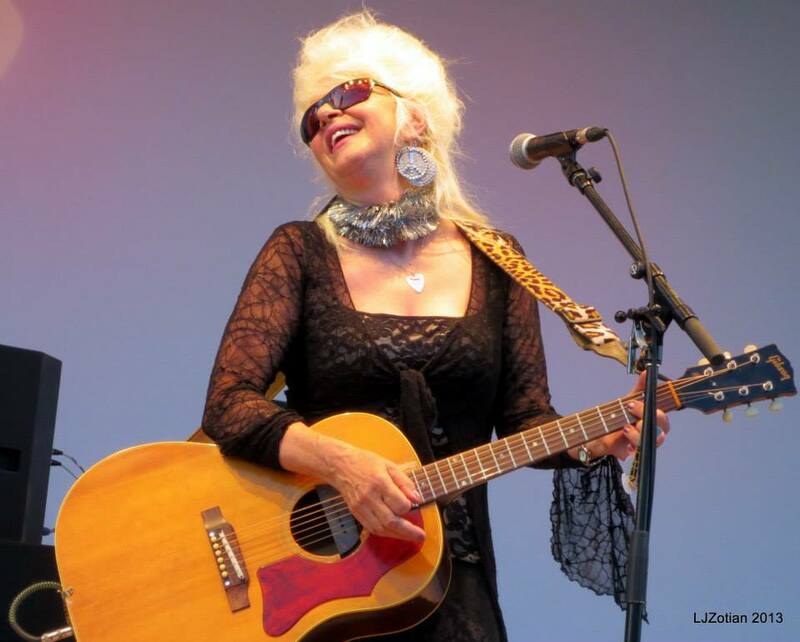 Christine Ohlman’s legendary voice and stage presence (she’s known as “The Beehive Queen” for her towering blonde hairdo) have been featured at the 2012 Rock and Roll Hall of Fame Induction Concert in Cleveland (filmed by HBO), The Carnegie Hall tribute to the Rolling Stones, and the 2012 WC Handy Festival (where she was the special guest of the Blind Boys Of Alabama), as well as on SNL’s 25th Anniversary telecast; Bob Dylan’s 30th Anniversary bash at The Garden (with George Harrison and Chrissie Hynde); The Obama Inaugural Gala in Washington, D.C.; The Lincoln Center “American Songbook” series with Sting, Lou Reed and Van Dyke Parks; and The Central Park Summerstage Tribute To Janis Joplin (where she fronted both Big Brother & The Holding Company and the Kozmic Blues Band). Lead guitarist Cliff Goodwin, who worked with John Mayall, Steve Miller and Robert Palmer, was the lead guitarist for Joe Cocker from 1976 to 1988. 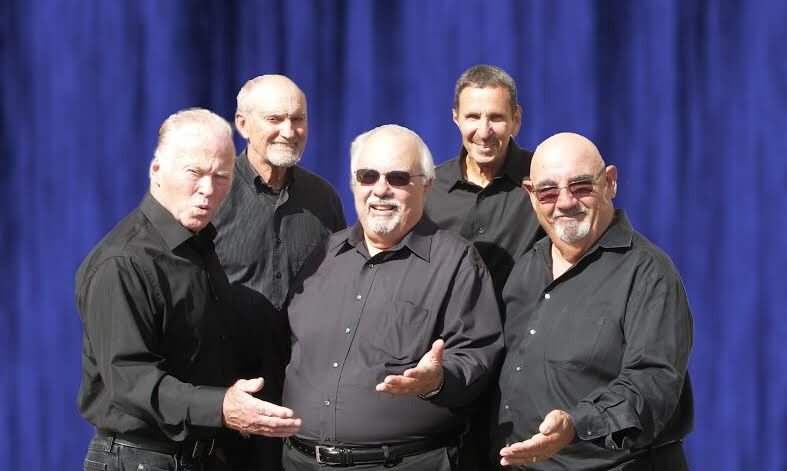 The Classic Five is a six member A Cappella singing group, performing popular Doo Wop hits of the 50's and early 60's, as well as some of the more obscure flip sides of the Doo Wop genre. The group is comprised of former New York City 1950's street corner singers. Creedence County Rockers, featuring John Fogerty "sound alike" Lou Caruso, delights audiences with a show that tributes one of America's all time favorite rock bands, Creedence Clearwater Revival. Joe Rock, popular radio DJ/On Air personality on NY's WBAB 102.3FM radio station, is not only known for his songwriting abilities but also for his dynamic live performances.When it comes to performing, Joe Rock does it all-Rock, Blues, Punk, Rockabilly and General Mayhem. It has been said that his on stage energy is "A force to be reckoned with". 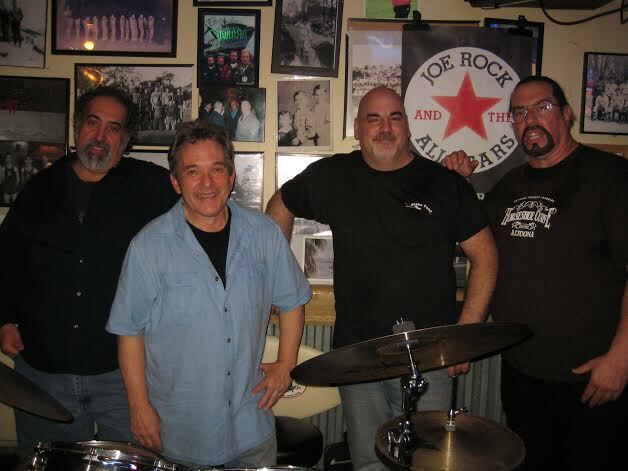 Over the years Joe has shared the stage with Grammy Winners, Rock And Roll Hall Of Fame Inductees and Long Island Music Hall Of Fame Inductees. Joe is available as a solo performer and any combination up to a 10 piece band. 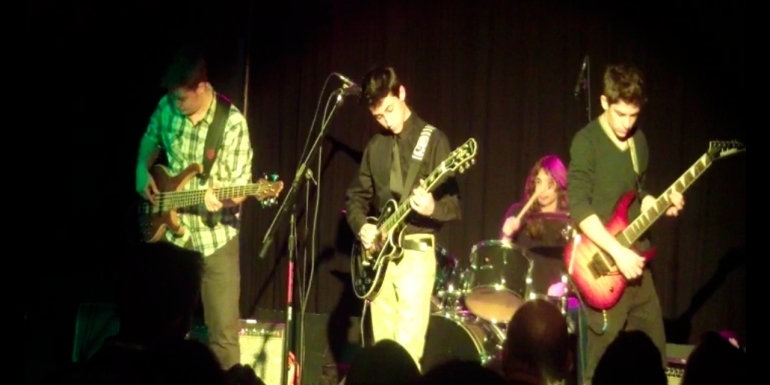 The Little Red Men are the teen band winners of The 1st Annual STRONG BEACH™ Battle of The Bands, helping to raise funds to support The Arts in Education in NYS public schools, this past July 2014. They have been performing their unique style of Rock 'n' Roll from Montauk to Manhattan, and are well known amongst the youth of Long Island, with their high energy original music and stage performance. Permission to Launch was formed in the summer of 2010. Over the past few years, the group has become crowd favorites at many of Long Island's clubs and music venues, always putting on an entertaining show with great song selection and an excellent stage show. PTL plays a wide range of music spanning decades including (but not limited to) Elvis, the Beatles, Michael Jackson, FUN!, Ceelo Green, Van Morrison, the Rolling Stones, Garth Brooks, Rage Against the Machine, Nirvana, The Gin Blossoms, Janis Joplin along with hard rocking songs from Alanis Morrisette and party favorites from Lady Gaga, Taylor Swift, P!nk, Run DMC, Eminem, Beyonce, and Britney Spears. 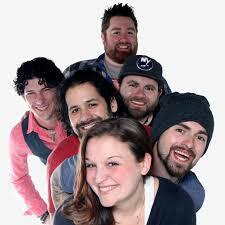 THE PROJECT is Long Island-based rock group performing mostly in Nassau County NY. 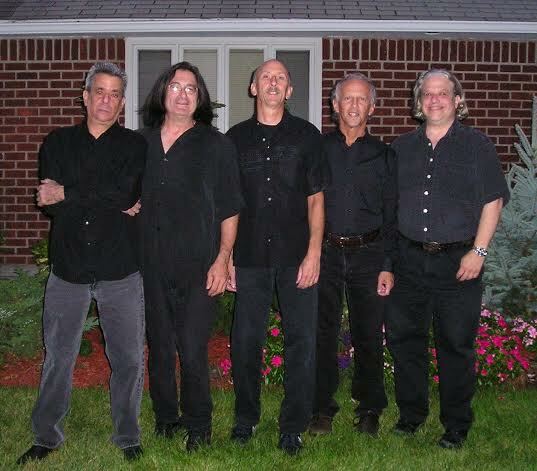 They are a 5-piece band consisting of talented musicians who share a great love of Classic Rock music. While striving to execute the songs as originally written, they sometimes add their own interpretation and flavor. 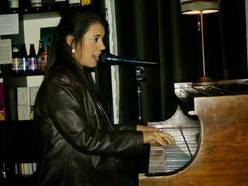 Since childhood, music has been a major influence in the life of each band member. “We have savored the passionate spirit and continue to experience the joy of playing the music we love in front of live audiences.” THE PROJECT returns to the Long Beach ROXX NY Festival this year with original songs written by keyboardist Marshall Ochman. Also featured in their performance is the music of Jethro Tull, as a special Tribute to Flute musician Lucille Morris. Special guest Jim Bozzi will be joining them on flute and saxophone. 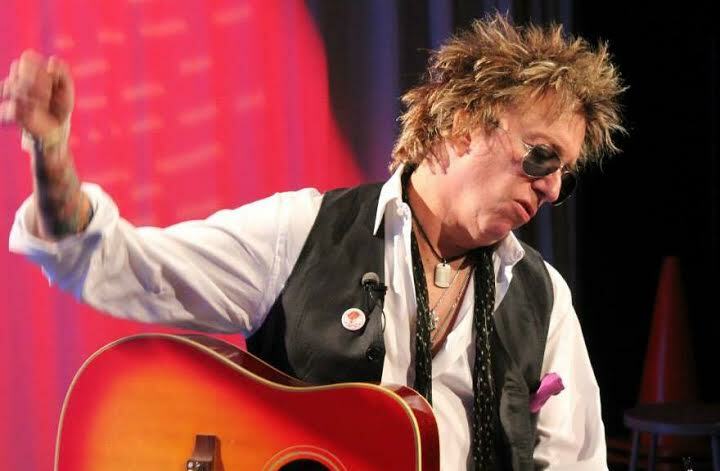 Guitarist, Singer, Songwriter & Producer, the multi-talented Ricky Byrd is a fabulous musician, nominated twice to the Rock 'n' Roll Hall of Fame. He is the former guitarist for Joan Jett & The Blackhearts (1989-91) as well as formerly with Roger Daltry, Ian Hunter and Southside Johnny. You can find his New Solo CD, LIFER at http://t.co/RoOZrwii5G He is also the Musical Director of Clean Getaway Music Therapy Unplugged and Clean Getaway All Stars. "Independent, free, and full of complexity....difficult to cage....Rorie Kelly is that type of Indie rock." 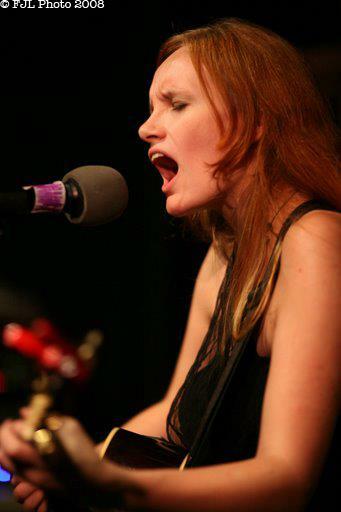 (LI Pulse Magazine) This singer/songwriter has been compared to artists ranging from Fiona Apple to Janis Joplin to Liz Phair.. Rorie has opened for Alix Olsen and Jen Chapin, and was named one of Long Island NY's "Top Ten Indie Artists You've Never Heard Of" by Pulse Magazine. Rorie's first full-length record, "Wish Upon a Bottlecap" has hit the airwaves with a vengeance and is getting spins on Triple-A and college radio stations across the country, including stations reporting to FMQB and CMJ. This original music dynamo has a formidable reputation of being a small redheaded tornado of sound! 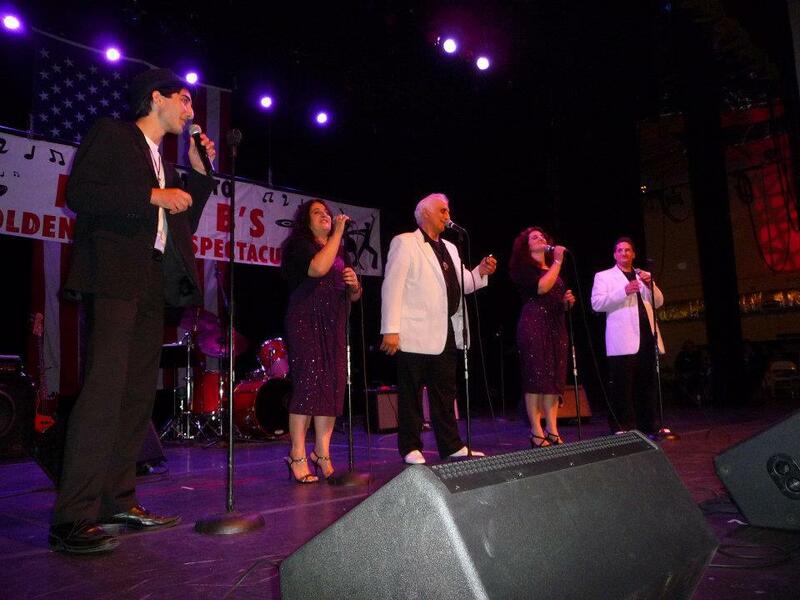 The Topsingers are four of ten musical children raised in South Ozone Park, New York. They grew up singing everything from the Hallelujah Chorus to the Tioletto and everything in between. The Topsingers perform their A Cappella Doo Wop show all throughout the Tri-State area. They have performed at the Lead East Annual 60's Convention at the Holiday Inn in Parsippany New Jersey, at Long Island NY's Boulton Center and at The Patchogue Theater. They have also performed for school and community theaters. The Topsingers are delighted to be a part of this year's Long Beach ROXX NY festival! Long Island's Premier Classic Rock/Pop band, Rockin' New York since 1977 with tight interpretations of tunes of the 60s & 70s plus Originals. Featured in Bass Musician Magazine and Endorsed by Hartke Amplification and INTEX Cables, bassist/percussionist and LB ROXX NY festival producer Joanne J-Bird Phillips has been with the band since 1992, as Musician/Booking Agent/Promoter/Manager. The band has been touted on News Channel 12 as The #1 Rock Band for the NYS Parks Dept.-Long Island Region and has repeatedly performed for thousands at The Oyster Festival in Oyster Bay NY (the largest waterfront festival on the East Coast of the USA), The Town of Babylon's "Annual Beach Blast" at Overlook Beach, The Harley-Davidson NYS Rally, The Long Island Corvette Show, The Montauk Lighthouse Festival, 30+ years on the bar circuit and so much more. Their original tune "You Are The Reason" was aired on NY broadcast radio. The band continues to bring it's popular "Songs You Can Sing To!" show to the Nassau County Library Circuit and will be crankin' out it's own tight variations of tunes from Tom Petty to Queen plus Rockin' Originals.